Drinking coffee reduces mortality risk, says a Japanese study. People who drink three to four cups of coffee a day have about 40 percent less risk of getting heart, cerebral vascular or respiratory diseases compared with those who barely drink the beverage, according to a summary of findings published online by Japanese researchers Thursday. Their research, previously published online in English in March in the American Journal of Clinical Nutrition, could not find any relationship between coffee drinking and death from cancer. Meanwhile, coffee drinkers had a 24 percent less risk of dying from cancer compared with nondrinkers. The research was conducted on about 90,000 people aged between 40 and 69 living in 10 prefectures in the 1990s, and followed up on them until 2011 to determine the relationship between their daily habits and major causes of death among Japanese. According to the researchers, the more coffee they drank, the less risk they had of dying. Those who said they drank three to four cups a day had a 36 percent less risk of dying from heart diseases such as angina and heart attack. The figure rose to 43 percent less for cerebral vascular diseases such as hemorrhaging and stroke, and to 40 percent less for respiratory diseases, such as pneumonia. The team, which included researchers from the National Cancer Center and the University of Tokyo, could not analyze in detail those who drank five cups or more per day because the number was too small. 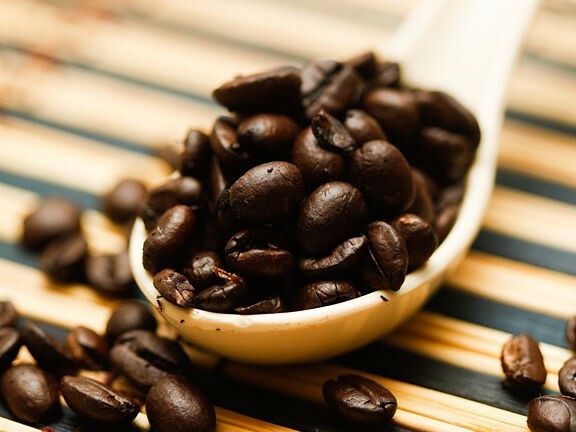 Chlorogenic acid, which adjusts blood sugar levels and blood pressure, and caffeine, which helps maintain healthy blood vessels, both appear in coffee and may have positively affected the results, the team said. Meanwhile, men who drink more than five cups of green tea have a 24 percent less risk of dying from cerebral vascular diseases and a 45 percent less risk of dying from respiratory diseases. Women drinkers of coffee were found to have a 37 percent less risk of dying from heart disease, the research said. Previous articleHow could chocolate help us understand depression?